Tutor in Reading, writing, all subjects K-6, homework, study skills, test prep: FSA, HSPT and middle school EOC exams. 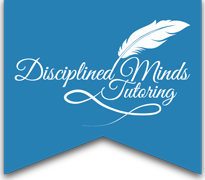 This veteran tutor is ready to help your student succeed. She is certified K-12 in Reading, K-6 in all other subjects and has been helping students prepare for middle school EOC exams, FSA and HSPT for many semesters. She has worked with gifted, ESE, and adult students in 3 different states over 3 decades. When she’s not tutoring, she’s hiking in Banff, visiting NYC, or cheering for the Steelers, Lightning, and ‘Noles.